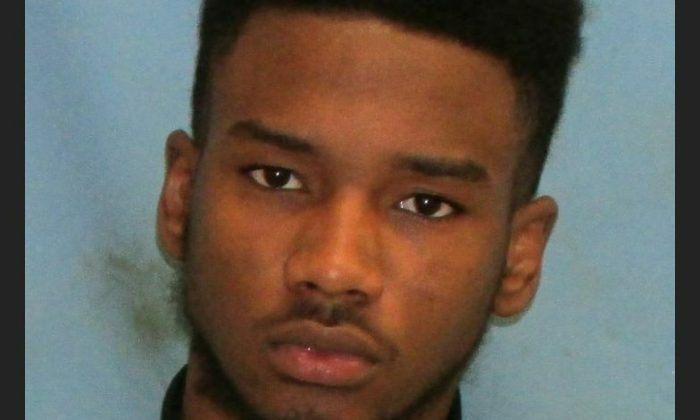 A brawl at a shopping mall in Little Rock, Arkansas on Saturday night that involved several hundred people resulted in an arrest, according to reports. The Pulaski County Sheriff’s Office said that two off-duty deputies made an arrest at Park Plaza Mall. According to the Arkansas Matters news website, 19-year-old Nayquan Swanigan was taken into custody, where he is likely to be charged with disorderly conduct, criminal trespassing, and resisting arrest. A spokesperson told Arkansas Online that the brawl started with two girls fighting before more people joined the fracas. In the incident, a fight broke out near the mall’s food court. Deputies said that a few hundred people eventually got involved in the melee. But they were able to halt it and take the girls outside. He refused and pushed the deputy’s arm away and officials then moved to arrest him. Then, Swanigan “continued to pull away and physically refused to comply … in [an] attempt to not be arrested,” the report added. Officials took him to the ground, and he got a bloody lip, Arkansas Matters said.